Government has expressed confidence that the implementation of projects aimed at increasing agriculture production and improvement in the management of natural resources in the Kafue sub- Basin will help to transform the lives of the people and reduce poverty. Monze District commissioner Mr. Cyprian Hamanyanga says the 3 year project for Protecting, Restoring the Environment, and supporting the Emergence of a Resilient and Vibrant Economy in the Kafue sub-basin (PRESERVE project) that will be implemented in Monze, Namwala, and Mazabuka Districts can significantly help to build resilience, enhance food security, improve income and nutrition security of 3,000 households in the three districts. Officially opening the inception workshop for the project held at Golden Pillow Lodge yesterday, Mr. Hamanyanga said the project has come at the right time as government was looking at various ways to deal with matters of climate change, sustainable Development, and Natural resources Management in all the districts across the country. He pointed out that the 2018/2019 farming season has been a disaster to the people of Southern Province adding that calls for concerted efforts from all players to build climate resilience among communities through such projects is key. 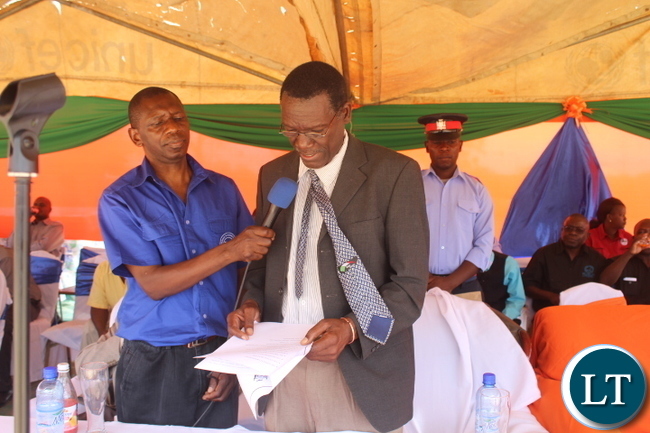 Mr. Hamanyanga said government would always support projects that better the lives of people in light of devastating effects of climate change and further commended the Self Help Africa for involving government line ministries in the implementation of the project. And PRESERVE Kafue Project Manager, Mumo Matandala said the three year project is from 1st March 2019 to March 2022 and was funded by Jersey Overseas Aid (JOA) at the tune of £670,000 British Pounds covering all the three Districts. Mr. Matandala said the projects objective was to build resilience to climate change, improved income and nutrition security for 3,000 households in the three districts.